VeryPDF PDF Password Remover for Mac is built for removing PDF passwords on Mac OS computers. It can remove the owner password of PDF directly. Given the user password, the application can save the PDF without user password. It can deal with multiple PDF files with batch process. A user password is to control the permission of opening a PDF. If a PDF is protected by a user password, VeryPDF PDF Password Remover for Mac will request for the user password and save the PDF to a new PDF file without user password. This can remove the user password and make sharing the PDF file easier. VeryPDF PDF Password Remover for Mac can process multiple PDF files one time. It can smartly detect which PDF has a user password, which has an owner password, and which is not encrypted with password. Those unencrypted PDF files will be left unchanged by the application. VeryPDF is the first PDF Password Remover software ever! No need for other PDF software. Support all PDF format versions. 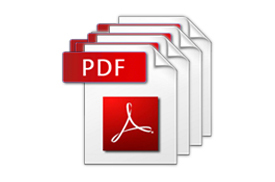 Batch process more PDF files at one time. Save PDF without open password. Support 40 and 128-bit RC4 encryption and 128 and 256-bit AES encryption. 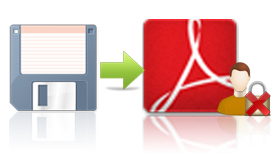 Full support for PDF files created in Acrobat 1.0 - Acrobat XI. Instant removal of permissions passwords. Fastest PDF document open password recovery speeds on CPU (speed tests). Cool features that save time when recovering passwords. Simple interface, just install and start working. Guarantee of removing restrictions regardless of password and encryption type used. Newest Acrobat X-XI PDF files support, including AES encryption, Unicode passwords, compressed files and unencrypted metadata. Removal of some restrictions in signed or certified files by digital signatures and in PDF forms. Very high speed (40-bit key searching procedure is optimized for modern Intel Core and AMD architecture. Running in GUI and keeps running in batch mode (as command-line utility). VeryPDF PDF Password Remover has special support of PDF forms. Non-English characters in passwords are supported.